After the disaster that was The Exorcist II you couldn’t be blamed for going into this 3rd part with a certain degree of apprehension. The worry has to be that another bad Exorcist movie would damage the originals quality even more. Thankfully from the start there are a number of things that will instantly resonate with fans. 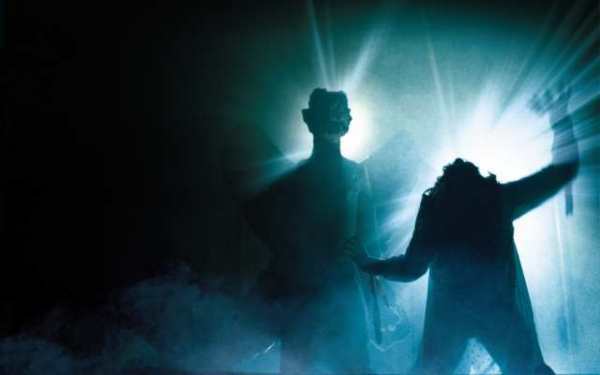 The movie is written & directed by William Peter Blatty, the writer of The Exorcist & is adapted from another of his novels, Legion. It also ignores the events of The Exorcist II…that movie didn’t happen which is best for just about everyone. 15 years after the events of the first movie, Lieutenant William Kinderman (the police officer from the first movie) is investigating seemingly random murders that bear the hallmarks of ‘The Gemini’ killer, who was given the electric chair 15 years earlier. The deaths seem unrelated at first until Kinderman’s good friend; Father Dyer (the priest who gave Damien Karras his last rites) is killed. The link seems to be that the victims were all involved with the exorcism from the first film. Things take a confusing turn when fingerprints at crime scenes don’t match seeming to imply several killers. All signs seem to point towards ‘The Gemini’ killer & when a man in an isolated cell of a hospital claims to be the killer Kinderman is forced into action. Just who is the man in the cell? Damien Karras…but he died at the bottom of the steps didn’t he? 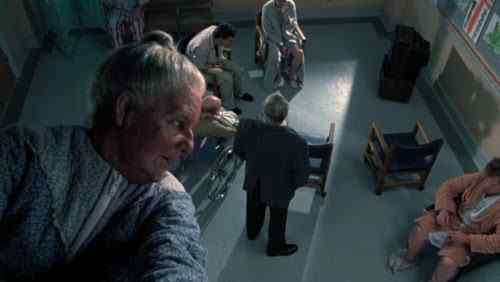 The Exorcist III spins one hell of a story that is gripping from beginning to end. It feels like an Exorcist movie & the true sequel to the original while being a different movie all together. 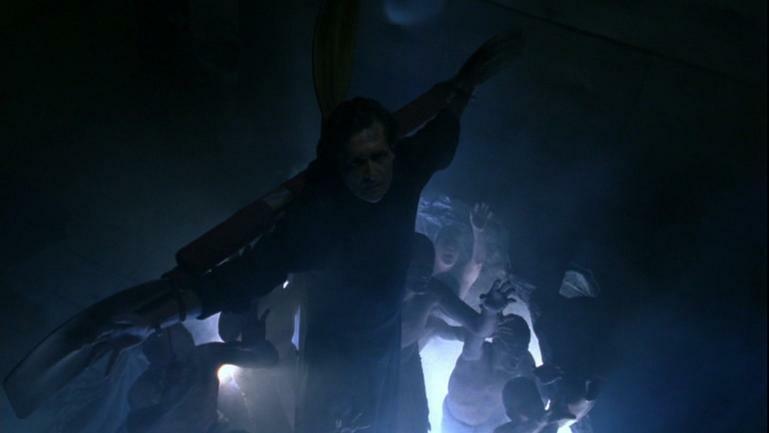 So much is praise-worthy…the acting, oh wow, the acting in The Exorcist III is outstanding. Kinderman, as the lead is brilliant & his relationship with Father Dyer amusing, warm & heart-breaking. The returning Damien Karras doesn’t have lots to do as his role is shared by the incredible Brad Dourif (of Child’s Play fame) who plays ‘The Gemini’ killer but his moments are emotionally charged. 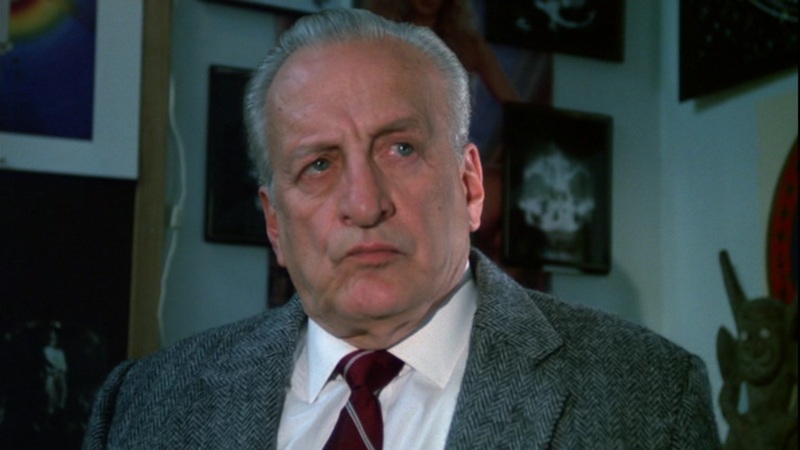 As one of our writers smdk666 said once the film had ended “poor Karras”. The movie has been called scary & while I never got that sense of fear, it is an incredibly tense & uncomfortable watch. There are a few scenes that will stick with you & it’s the kind of film you’ll think about long afterwards. Its ending feels definitive & right, it’s the kind of ending a film like this deserves. The use of haunting imagery, long shots of wind blowing & doors creaking creates lots of suspense. We know about Pazuzu so when ‘The Gemini’ killer refers to his master & just how he got his second chance it’s a strong reminder of how evil the demon is, just how powerful it is & how at its whim we are as humans. The famous Exorcist theme is used just once…at the beginning & that’s all you need. The music throughout is fantastic, isolating & cold yet tinged with hope. It fits every scene perfectly. A lovely surprise coming off the terribleness that was the Exorcist II: The Heretic, an incredible movie that sticks long in the memory & should be seen by every fan of the original just for the closure it offers.